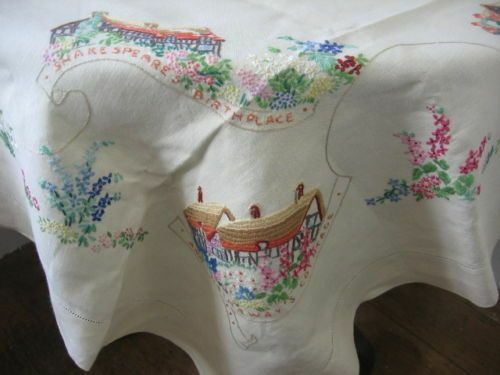 For a couple of years I’ve been trying to find a particular vintage tablecloth (well, two of them- still looking for the other) I’ve seen three copies pop up on Ebay but they’ve always ended while I was at work and I get out-bid. I’ve actually been saving all the photographs to attempt to recreate the pattern- difficult, not impossible, but time consuming and I have no time. 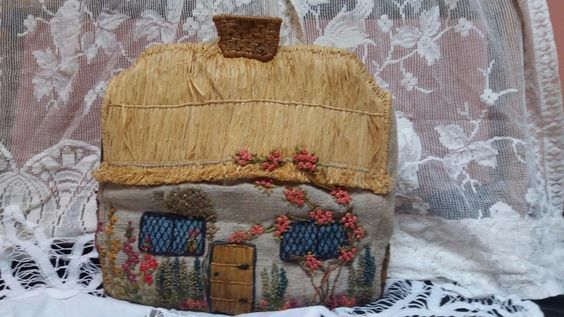 So, today, I bid on… and won… a lovely vintage tea cosy and I was looking at the auctions I haven’t won and pressed the ‘show similar items’ button. The very first thing that came up was another copy- a buy it now and it must have just been listed! So it should be here right around my birthday, yay! Just to underline how lucky I am, this is the least expensive copy I’ve ever seen too!